This Head in the sand protest at bondi is the best thing ever. This protest involves a lot of people with sand in their hair. And it's kind of brilliant. The protest. 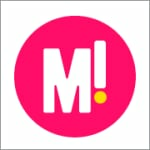 Photo: @morningbondi Instagram. 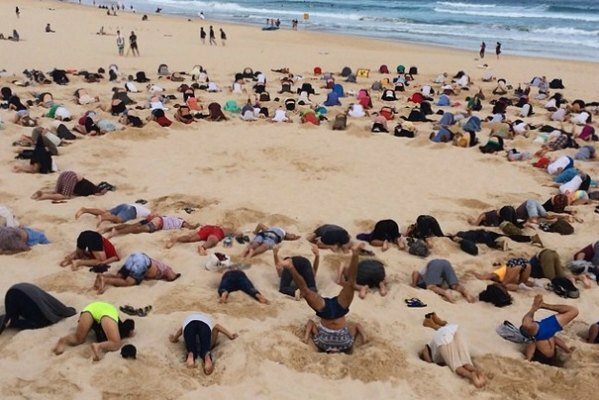 Hundreds of Sydneysiders took the saying ‘bury your head in the sand’ to a glorious level in a protest yesterday. In of the most literal instances of political protest ever, more than 400 people flocked to Bondi Beach yesterday to protest against the absence of climate change on the G20 summit agenda, The Guardian reports. The protesters dug holes in the sand of Australia’s most famous beach and stuck their head down for two minutes — some of them performing a little #headinthesandsalute — while a leader bellowed through a megaphone to the protesters. Their message was clear: while world leaders including US President Barack Obama and Chinesese President Xi Jinping are prepared to discuss climate change, Australian PM Tony Abbott is not. The protest. Photo: Screenshot via The Guardian. Indeed, the G20 will be the first gathering in years not to have climate change on the agenda — because Mr Abbott wants to focus on other things that, apparently, he deems to be more important. Could this be the future of protests? Will we see #underarock next? Or #headintheclouds? Do you think climate change should be on the agenda for the G20 summit this weekend?